Aaron James Oda is a conflict transformation trainer and facilitator, and currently serves as Program Manager at Gemeinschaft Home, a residential therapeutic facility for men transitioning out of incarceration through the promotion of restorative justice practices in Harrisonburg, VA. He has over 8+ years in the field of conflict transformation, peace education, and capacity building. In 201, he served as co-facilitator, trainer, and co-program designer for the Caux Peace and Leadership Programme with Initiatives of Change in Caux, Switzerland. The programme drew 70 participants from over 30 countries to learn and engage in conflict transformation skills training, leadership development, and practical service opportunities. In 2016, Aaron worked as the Social Cohesion practicum participant for People In Need, based in Yangon, Myanmar. He researched the creative arts and cultural based efforts for peacebuilding and reconciliation work in local communities through the medium of documentary film as well as designed and delivered trainings to local staff. He has also worked with youth in Harrisonburg around nonviolence education and leadership, and peace education, community engagement and development with the Uganda Catholic Worker in Kampala, Uganda. 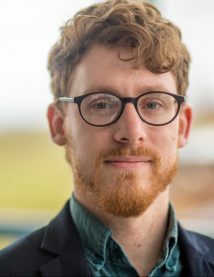 Aaron’s interests lie within the intersections of conflict transformation and peacebuilding, restorative justice, arts-based capacity building, and documentary film and photography. He is a 2016 graduate from the Center of Justice and Peacebuilding.